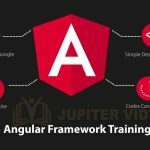 Become an expert in front-end development. Learn how to create a website that can interact with client effectively and can help to grow a business. Learn how to design a call-to-action, responsive and beautiful websites. Latest trends in web designing. How to create a call-to-action website. Optimization, Security, Performance, Responsive and many more features. Learn how to design a user-friendly and SEO friendly world-class website. We will train you on all the latest technologies which will help you build a web application that can change the world. More than 95% of applications are web-based. Front-end designing is an integral part of any software development. 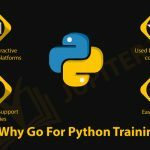 Whether you are a Java developer, a Python programmer or a .Net professional, you need this training program. The most important factor for a business to succeed is user engagement with your product. How much time a user spends on the website and how they interact with the application is the deciding factor. To increase the click-through rate and decrease the bounce rate, your web page design should be good and interactive. Downloading and adding jQuery on a HTML page. After successful completion of the Web Designing course, you'll get a certificate.